Google News Drops RSS Buttons Due To Spam? 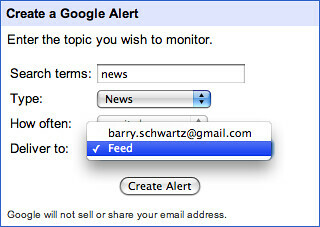 Home > Google News > Google News Drops RSS Buttons Due To Spam? About a week ago, we reported the issues Google News was having with some RSS feeds. At that time, Google dropped the RSS links from the main Google News search pages. The feed link was removed on all versions of Google News, much likely because people started to abuse the feed usage rights. Your page looks all right, though. Inbal, a Google News representative, confirmed the answer. So was the link removed do to spammers abusing the feed? I am not sure. Forum discussion at Google News Help & Google Web Search Help. Update: Inbal updated the thread to address my question as to why it was removed. It was not a spam thing, but a usability thing. Please be assured we've removed the RSS feed link *not* in response to usage abuse nor to spam, but it's part of improving our User Interface and your user experience with Google News. Honestly, if it is a user interface experience thing, then they should add it back.